White paper on funding strategy for outstanding collaboration activities. Registration is by invitation only. Thank you for understanding. Registration is now closed. 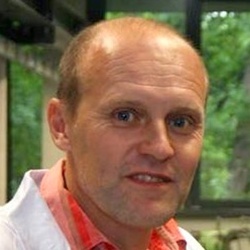 Prof. Berggren is Professor of Electrical Engineering at Massachusetts Institute of Technology, Department of Electrical Engineering and Computer Science, where he heads the Quantum Nanostructures and Nanofabrication Group. He is also Director of the Nanostructures Laboratory in the Research Laboratory of Electronics and is a core faculty member in the Microsystems Technology Laboratory (MTL). 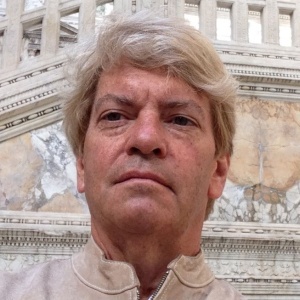 From December of 1996 to September of 2003, Prof. Berggren served as a staff member at MIT Lincoln Laboratory in Lexington, Massachusetts, and from 2010 to 2011, was on sabbatical at the Technical University of Delft in the Netherlands. His current research focuses on methods of nanofabrication, especially applied to superconductive circuits, single-photon detectors for quantum applications, and electron-optical systems. His thesis work focused on nanolithographic methods using neutral atoms. 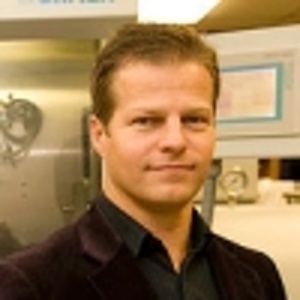 Prof. Berggren is a fellow of AAAS, fellow of IEEE and a fellow of the International Society for Nanomanufacturing. He is a Kavli fellow, and a recipient of the 2015 Paul T. Forman Team Engineering Award from the Optical Society of America. In 2016, he received a Bose Fellowship and was also a recipient of the EECS Department's Frank Quick Innovation Fellowship. 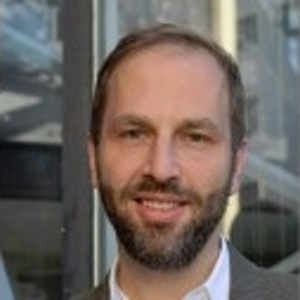 He is currently the section editor for patterning and nanofabrication of the IOP Nanotechnology journal, and also serves on the editorial board of the IOP Nano Futures journal. He was the program chair of the 2014 Electron, Ion, Photon Beams and Nanofabrication Conference. From 2008 to 2014 he was an elected member of the board of the Applied Superconductivity Conference. 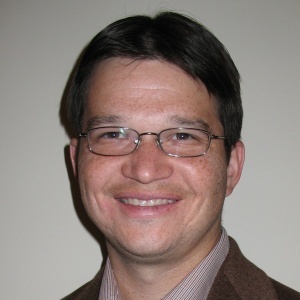 Dr. Joshua Caldwell was awarded his bachelors of Chemistry from Virginia Tech in 2000 before heading to the University of Florida where he received his PhD in Physical Chemistry in 2004 under the direction of Prof. C. Russell Bowers. There he used magnetic resonance methods to investigate electron-nuclear spin coupling within low-dimensional quantum wells and heterostructures. He accepted a postdoctoral fellowship at the Naval Research Laboratory, using optical spectroscopy as a means of understanding defects within wide-band gap semiconductors. He was transitioned to permanent staff in 2007, where he began work in the field of nanophotonics, investigating coupling phenomena within plasmonic materials. More recently, Dr. Caldwell merged his prior work in wide band gap semiconductor materials with his efforts in nanophotonics, leading to his efforts to use undoped, polar dielectric crystals for low-loss, sub-diffraction optics. Dr. Caldwell recently finished a sabbatical at the University of Manchester with Prof. Konstantin Novoselov, investigating the use of van der Waals crystals such as hexagonal boron nitride for mid-IR to THz nanophotonics. He has published over 100 papers and 7 patents. Prof. Jiří Čejka was born in Roudnice nad Labem, former Czechoslovakia, in 1960. He studied the Institute of Chemical Technology in Prague and received his Ph.D. at the J. Heyrovský Institute of Physical Chemistry and Electrochemistry in Prague in 1988. He spent 6 months as postdoc at Technical University of Vienna under the supervision of Prof. J.A. Lercher. Currently, he is employed in the Czech Academy of Sciences at J. Heyrovský Institute of Physical Chemistry in Prague. 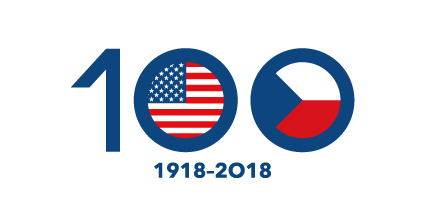 Since 2016 he joined also the Charles University Centre for Advanced Materials where he is lecturing the courses on catalysis. 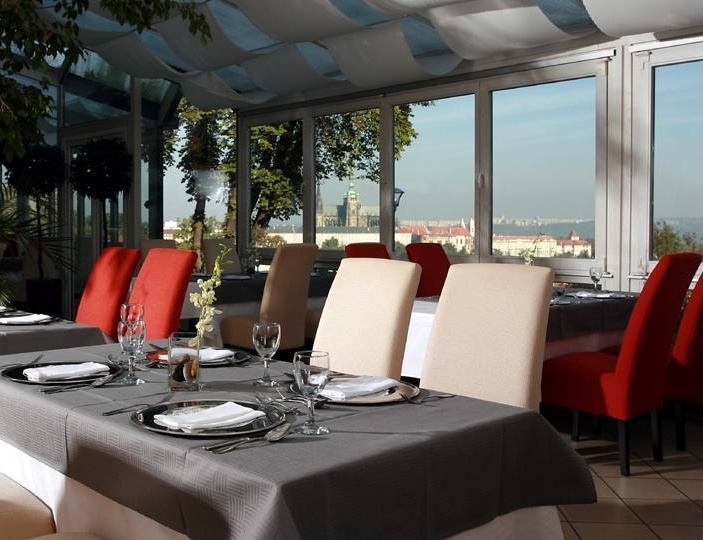 In 2005 he chaired the 3rd FEZA Conference on Zeolites in Prague. 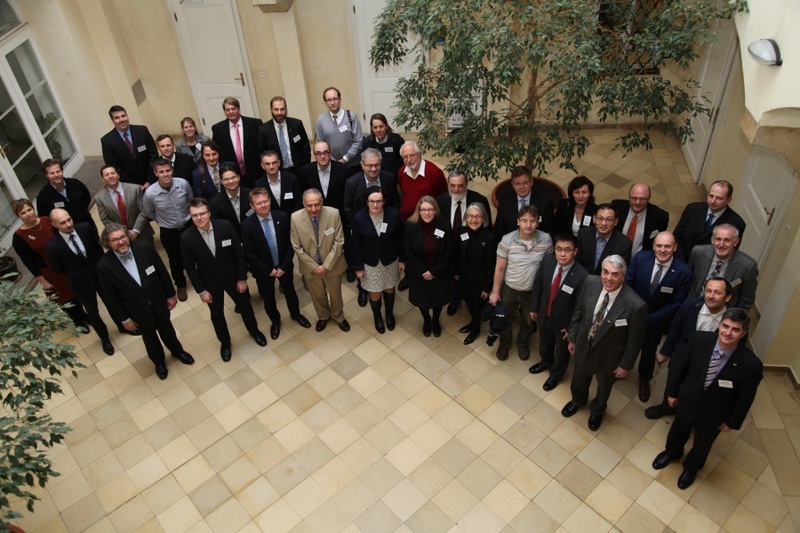 Jiří Čejka is organizer of a number of Workshops devoted to zeolites and molecular sieves and organizes annually the School of Molecular Sieves focused on diversed aspects of their chemistry and applications. His research interests involve synthesis of zeolites, layered, mesoporous, and novel nano-structured materials, physical chemistry of sorption and catalysis, and investigation of the role of porous catalysts in transformations of hydrocarbons and their derivatives. 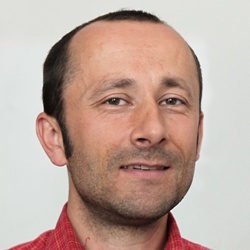 Jiří Čejka is co-author of about 300 research papers, co-editor of 7 books, has more than 8200 citations, and his current h-index is 50. 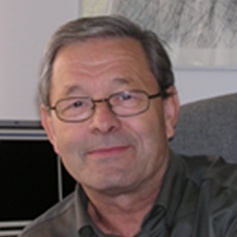 Jiří Čejka is a member of International Advisory Boards of scientific journals including Catalysis Reviews Science and Engineering, ChemCatChem, Catalysis Today, ChemPlusChem, etc. 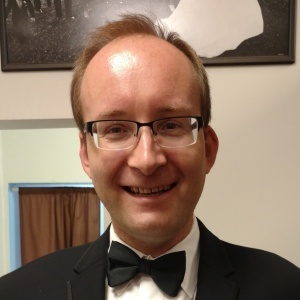 President of the Czech Grant Agency awarded Jiří Čejka in 2014 for excellent results obtained in the project dedicated to preparation of new microporous materials and catalysts for C-C coupling reaction. 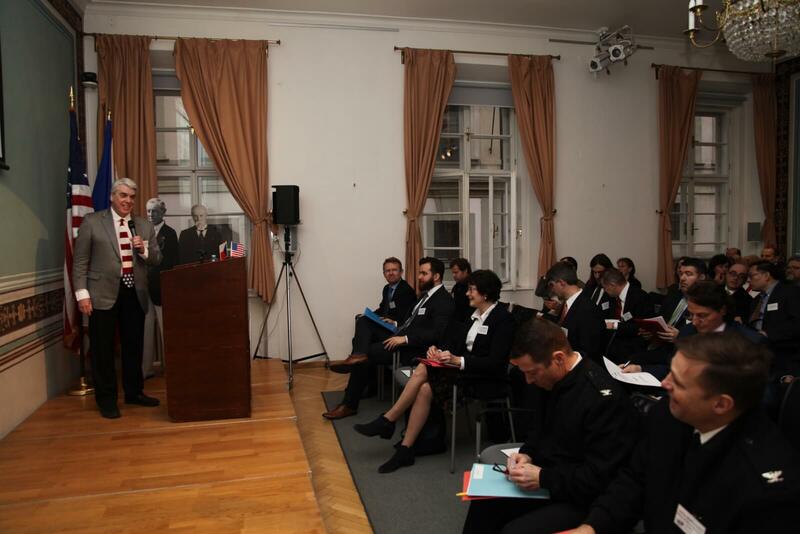 Rector of the Charles University awarded in 2016 Jiří Čejka together with Petr Nachtigall and Pavla Eliášová by Bedřich Hrozný award for the theoretical design and experimental development of new method of synthesis of zeolites called ADOR (Assembly – Disassembly – Organization – Reassembly). Prof. Miroslav Cernik, University Professor of Applied Sciences in Engineering at Technical University of Liberec (TUL). He also serves as Scientific Director of Institute for Nanomaterials, Advanced Technology and Innovation (CxI) of TUL and Head of Department of Nanomaterials in the Natural Sciences (DNNS). In 1987 he graduated with honors studies at the Czech Technical University (CTU) in Prague, Faculty of Nuclear Sciences and Physical Engineering (FJFI), Department of Nuclear Chemical Engineering. In 1991, he defended his dissertation (CSc.) on Interaction with solid phase and its influence on the transport of radionuclides in surface waters (FJFI). He received his PhD (1994) from Swiss Federal Institute of Technology (ETH, Zurich, Switzerland). His research group of about 50 people works mainly on preparation and application of (nano)material for soil and groundwater remediation and environmental protection; on risk of nanomaterials for environment; and radionuclide waste repository. He has authored 2 books, co-authored 5 books, authored more than 80 papers in peer-reviewed journals, and obtained a number of patents. His papers were cited at Thomson-Reuters Web of Science over 1000 times and hid h-index is 16. 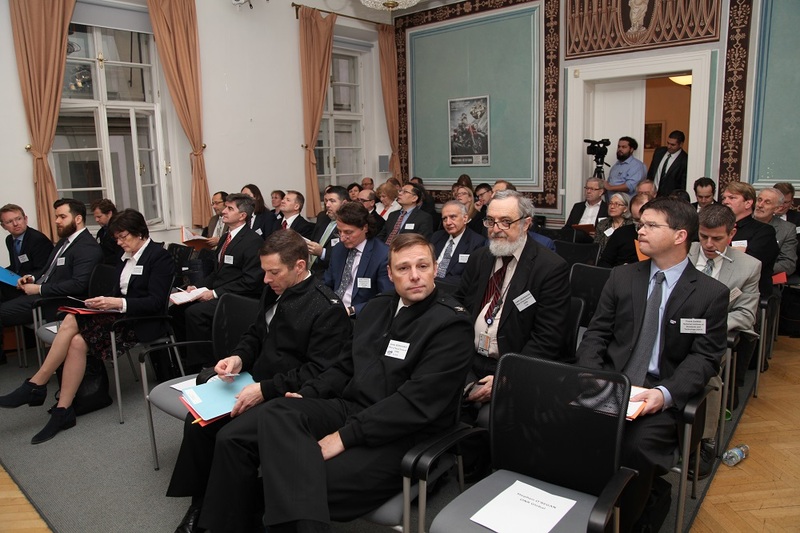 Nowadays, he participates in 3 projects in 7.FP EU, 3 projects in H2020 and in many Czech national projects on the topic of nanoremediation, toxicity of nanomaterials and storage of nuclear waste. Frank W. DelRio received a B.S. in Mechanical Engineering from Carnegie Mellon University in 1998, after which he worked as a Product Support Engineer at C&D Aerospace (now C&D Zodiac), first in Huntington Beach, CA and later in São José dos Campos, Brazil. In 2001, he returned to academia, ultimately receiving an M.S. in Mechanical Engineering from Boise State University in 2002 and a Ph.D. in Mechanical Engineering from the University of Colorado at Boulder in 2006. After working as a postdoctoral researcher in the Department of Chemical Engineering at the University of California, Berkeley, he joined the Materials Science and Engineering Laboratory (now the Material Measurement Laboratory, MML) at the National Institute of Standards and Technology (NIST). At NIST, Frank has served as the Leader of the Nanoscale Strength Measurements and Standards Project from 2007 to 2014, as the Leader of the Small-Scale Mechanics for Advanced Materials Project from 2014 to 2016, and as a Science Advisor in the MML Lab Office from 2016 to 2017. 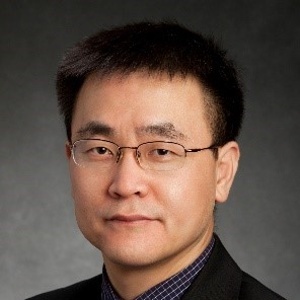 Currently, he is the Leader of the Fatigue and Fracture Group, which conducts research on the fatigue and fracture of advanced structural materials for pipeline safety, hydrogen storage, additive manufacturing, and cardiac device reliability. His research focuses on the development and use of materials and assemblies for small-scale mechanical applications via advancements in stand-alone and integrative mechanical measurement and microscopy techniques, with an emphasis on advanced materials in electronics, biomedical and health, infrastructure, energy, and forensics applications. In all, he has published more than 50 peer-reviewed papers in journals such as Nature Materials, PNAS, Nano Letters, and ACS Applied Materials and Interfaces. Frank is also the recipient of several awards and honors, including an ASME Orr Early Career Award, a Department of Commerce Bronze Medal Award, an Adhesion Society Outstanding Young Adhesion Scientist Award, and a Presidential Early Career Award for Scientists and Engineers. 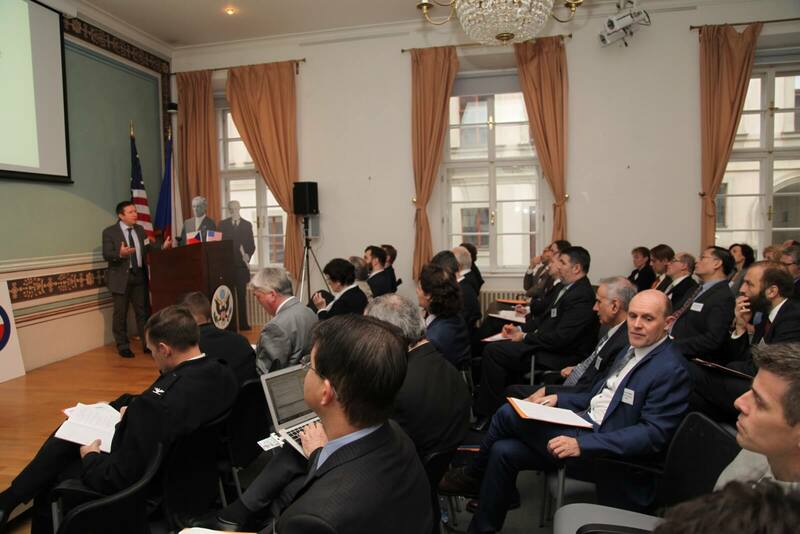 Dr. Tomáš Etrych is Research Professor at Institute of Macromolecular Chemistry, Czech Academy of Sciences in Prague. He is currently the Head of Centre of Biomacromolecular and Bioanalogous Systems and Head of Department of Biomedical Polymers of the institute. 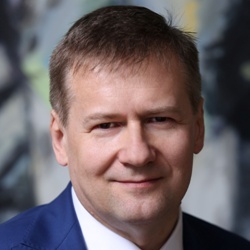 Also he is a Head of the Laboratory of Polymer Therapeutics and Diagnostics of Centre BIOCEV, Biotechnology and Biomedicine Center of Academy of Sciences and Charles University in Vestec. 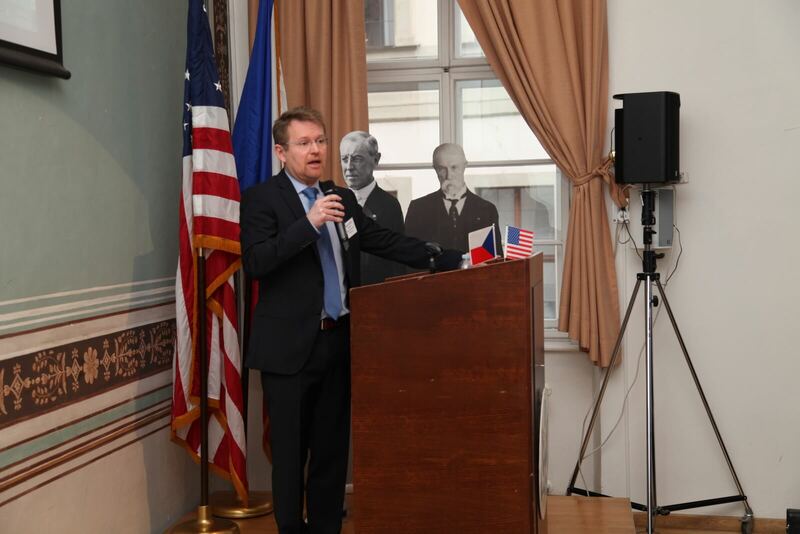 He received his MS (1997) and PhD (2002) from macromolecular chemistry in Charles University in Prague and DSc degree from the Czech Academy of Sciences in 2017. His research area focuses on nanostructured polymer drug delivery systems suitable for effective and side effect-free therapy within the medicine. He has co-authored 2 book chapters, more than 120 papers in peer-reviewed journals, and obtained 9 patents, his h-index is 35. He was a winner of the prize „Prix de Pharmacie 2002“organized by French Ambassy in the Czech Republic and received prestigious Post-doc fellowship awarded by French Ministry of Youth, Education and Research. 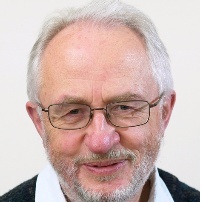 He has received awards for his research including "Hlavka`s price for young students and scientists" awarded in 2006 and prize "Otto Wichterle `s Award“ awarded by Czech Academy of Sciences in 2008. He has been elected a Member of Academic assembly of the Czech Academy of Sciences, Member of the Board of workplace of the Institute of Macromolecular Chemistry, Member of the Board of BIOCEV, Biotechnology and Biomedicine Center of Academy of Sciences and Charles University in Vestec, as well as Member of the editorial board of the Journal of Controlled Release. Dr. Lisa Friedersdorf is the Director of the National Nanotechnology Coordination Office. She has been involved in nanotechnology for over twenty years, with a particular interest in advancing technology commercialization through university-industry-government collaboration. She is also a strong advocate for science, technology, engineering, and mathematics (STEM) education, and has over two decades of experience teaching at both the university and high school levels. Lisa earned her PhD and MSE in Materials Science and Engineering from the Johns Hopkins University and BS in Mechanical Engineering from the University of Central Florida. 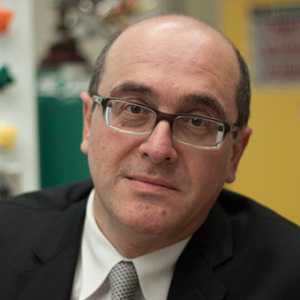 Dr. Yury Gogotsi is Charles T. and Ruth M. Bach Professor, Distinguished University Professor and Trustee Chair of Materials Science and Engineering at Drexel University. He also serves as Director of the A.J. Drexel Nanomaterials Institute. He received his MS (1984) and PhD (1986) from Kiev Polytechnic and a DSc degree from the Ukrainian Academy of Sciences in 1995. His research group works on nanostructured carbons, 2D carbides and other nanomaterials for energy, water and biomedical applications. He has co-authored 2 books, 16 book chapters, more than 500 papers in peer-reviewed journals, edited 14 books, and obtained more than 50 patents. He was recognized as Highly Cited Researcher by Thomson-Reuters/Clarivate Analytics in 2014-2017 (h-index 110/92, Google Scholar/Web of Science). 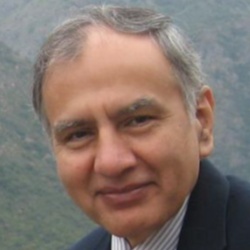 He has received numerous awards for his research including the European Carbon Association Award, S. Somiya Award from the International Union of Materials Research Societies, Nano Energy award from Elsevier, International Nanotechnology Prize (RUSNANOPrize), R&D 100 Award from R&D Magazine (twice) and two Nano 50 Awards from NASA Nanotech Briefs. He has been elected a Fellow of the American Association for Advancement of Science (AAAS), Materials Research Society, American Ceramic Society, the Electrochemical Society, Royal Society of Chemistry, NanoSMAT Society, as well as Academician of the World Academy of Ceramics and Full Member of the International Institute for the Science of Sintering. He also serves on the MRS Board of Directors and acts as Associate Editor of ACS Nano. 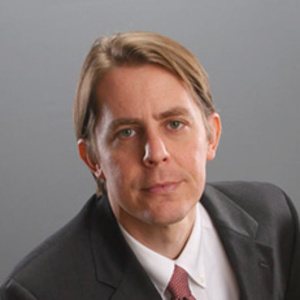 Prof. Hafner earned his Ph.D. from Rice University in 1998 under Richard Smalley for work on carbon nanotubes, and pursued postdoctoral studies at Harvard University with Charles Lieber. He returned to Rice in 2001 to join the faculty where his lab studies nanophotonics and interfacial biology. Hafner was named a Beckman Young Investigtor in 2002, and won the Norman Hackerman Award for Chemical Research from the Welch Foundation in 2011. He is currently an Associate Professor of Physics and Astronomy and of Chemistry. 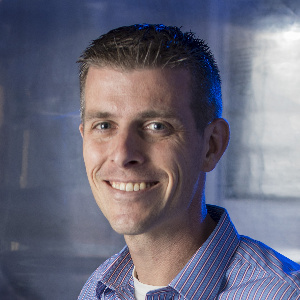 Hafner is a Member of Scientia at Rice and has served as an Associate Editor for ACS Nano since 2010. He has taught freshman and sophomore physics for the past eight years, and is a member of Rice's Center for Teaching Excellence. 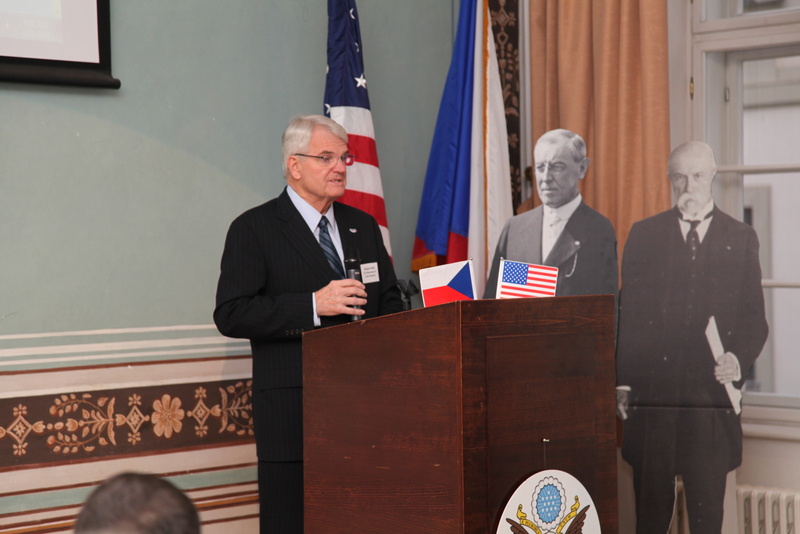 Dr. Zdenek Havlas is the vice-president of the Czech Academy of Sciences, president of the Learned Society of the Czech Republic, Honorary Chair of the Institute of Organic Chemistry and Biochemistry of the Czech Academy of Sciences, director of the Center for Development of Original Drugs, and member of governmental Board for Science and Technology. 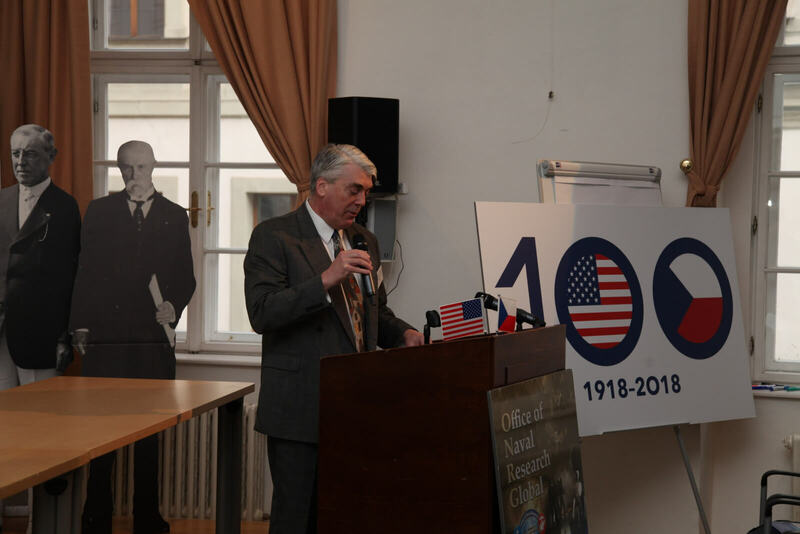 He served for ten years as director of the Institute of Organic Chemistry and Biochemistry, Czech Academy of Sciences. He received his MS (1975) and RNDr. degree (1976) from Faculty of Sciences, Charles University in Prague, PhD (1979) from the Institute of Organic Chemistry and Biochemistry, and DSc degree (2002) form Czech Academy of Sciences. His research group deals with quantum-chemical investigation of selected properties of mainly organic molecules as well as with the development of methods for their calculation. His work (170 original papers, 4 books) was cited 6000 times, h-index is 38. He received numerous awards from academia, industry and state. 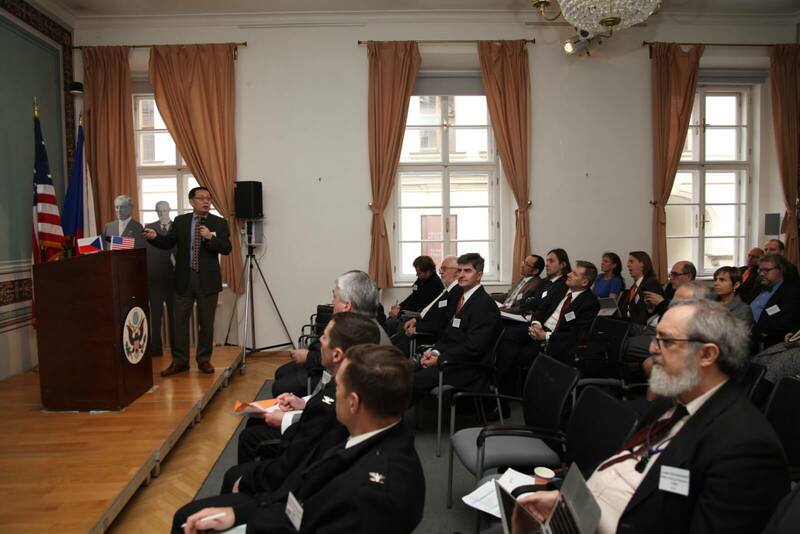 Dr. Pavel Hobza, dr.h.c., FRSC is Distinguished Chair at Institute of Organic Chemistry and Biochemistry, Academy of Sciences of the Czech Republic, Prague and Professor of Chemistry at Charles University, Prague and Palacky University, Olomouc. He received his MS (1969) from the Czech Technical University and PhD (1974) from the Institute of Physical Chemistry, Czechoslovak Academy of Sciences. His research team works on noncovalent interactions and their applications in bio- and material sciences, databases of accurate interaction energies and on In silico drug design. He has co-authored 4 books, more than 450 papers and 35 review papers in peer-reviewed journals, his H-index (WOS) is 98, Sum of Times Cited is more than 35 000. He was awarded by “Highly Cited Researcher” in chemistry in 2014 – 2016 (Thomson Reuters, later Clarivate Analytics), “Česká hlava” in 2008 (Czech government), Praemium Academiae in 2007 (Academy of Sciences of the Czech Republic) and Schrödinger Medal in 2017 (World Association of Theoretical and Computational Chemists).He was elected a Fellow of the Royal Society of Chemistry (2005) and Learned Society of the Czech Republic (2006). He also serves in Editorial Boards of Chemistry – An European Journal, Phys Chem Chem Phys, Chem Phys Chem and Chemical Reviews. Dr. Jiří Homola is Director of the Institute of Photonics and Electronics, Prague (Czech Republic). He also is Professor at Charles University in Prague and Affiliate Professor at the University of Washington, Seattle (USA). He received his MS (1988) from the Czech Technical University and PhD (1993) and DSc (2009) degrees from the Czech Academy of Sciences. His research interests are in photonics and biophotonics, in particular in optical sensors and biosensors. He investigates photonic and plasmonic phenomena and pursues development of sensor instrumentation, microfluidic devices and functional coatings for optical biosensors for molecular biology, medical diagnostics, food safety and security. He edited 2 books and authored over 145 research papers in peer-reviewed journals with over 13,000 citations (h-index 50 according to Web of Science). He also holds 8 patents. 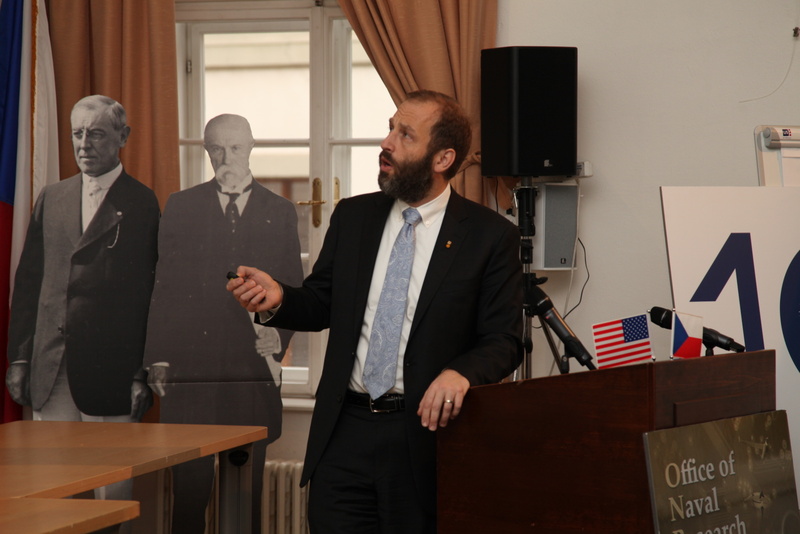 Dr. Homola has received numerous awards, including the Roche Diagnostics Prize for Sensor Technology, Award for Outstanding Research of the Ministry of Education, Youth and Sports of the Czech Republic, Premium Academiae of the Czech Academy of Sciences, and Czech Head. 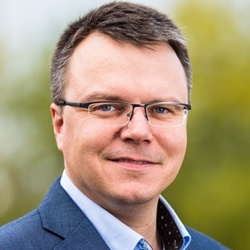 He has been elected a Fellow of the Learned Society of the Czech Republic and Fellow of the International Society for Optical Engineering (SPIE). 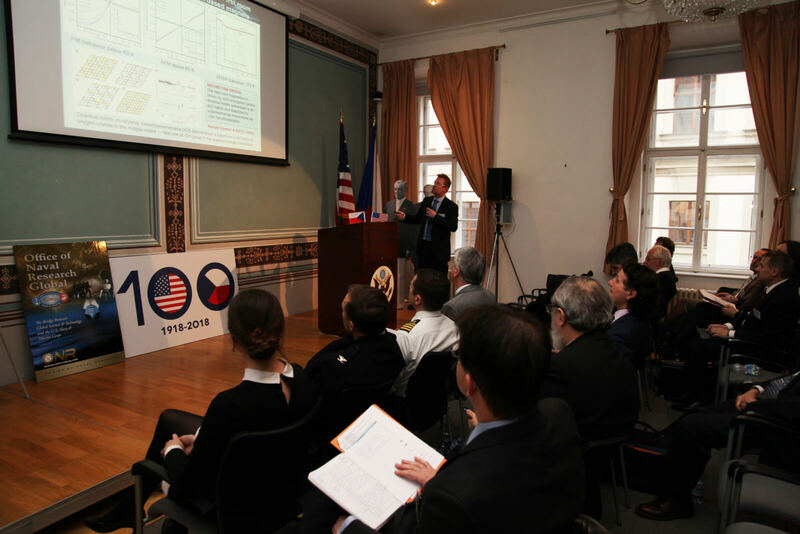 Dr. Pavel Jelínek is senior researcher at the Institute of Physics of the Czech Academy of Sciences and associated professor at Palacký University in Olomouc. He is an expert on scanning probe microscopy (SPM) and computational nanophysics. He received his PhD (2001) from Czech Technical University. His research group focuses on physical and chemical properties of molecular nanostructures, on-surface reactions and 2D materials. 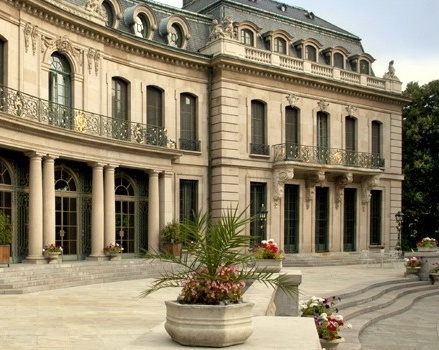 The group strongly benefits from the unique synergy between available experimental and theoretical expertise. He is co-author of 86 papers in IF journals (Nature, Science, Nature Chemistry, Nature Communication, JACS, PRL etc. ), which received more than 3 500 citations (h-index 30) following Google Scholar. He was involved in pioneering works including single-atom chemical identification (Nature 2007) and manipulation (Science 2008) on semiconductor surfaces, theory of high-resolution SPM imaging (PRL 2014) and on-surface chemistry (Nature Chem. 2017). He is co-author of a local orbital DFT simulation package Fireball code. 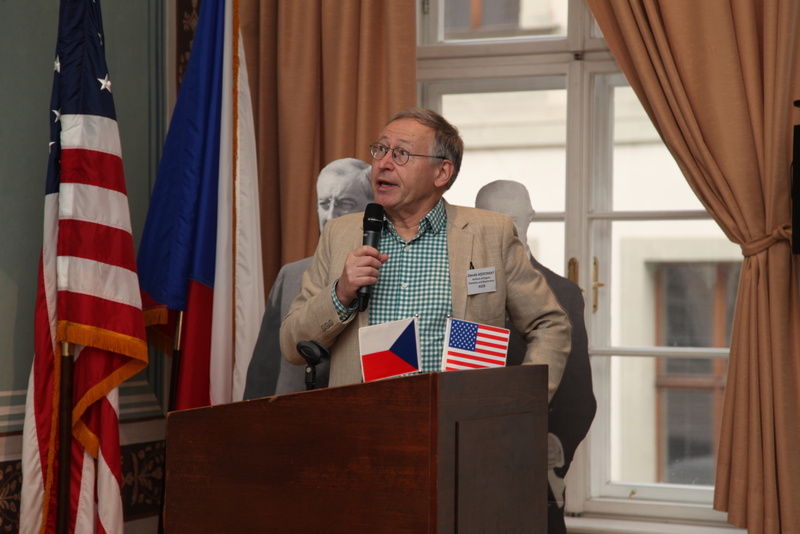 He received several national prizes including Praemium Academiae award (2016) and prize for outstanding achievements of great scientific importance of the Czech Academy of Sciences (2012). He was Fulbright fellow in Arizona State University (2008) and he was appointed as visiting professor at Osaka University (2014-2015). He is member of the International Advisory Board of Advanced Materials Interfaces (Wiley) and Journal of Physics: Condensed Matter (IoP Publishing) journals. Professor Jiang received his Ph.D. degree in chemical engineering from Cornell University in 1993 under Profs. Keith Gubbins and John Zollweg. He was a postdoctoral fellow at UC Berkeley between 1993 and 1994 with Prof. Kenneth S. Pitzer and a research fellow at Caltech between 1994 and 1996 with Prof. William A. Goddard, III both in chemistry. He is currently the Boeing-Roundhill Professor of Engineering in the Department of Chemical Engineering and an adjunct professor of Bioengineering at the University of Washington, Seattle. He was a visiting professor in the Department of Chemical Engineering at MIT with Prof. Robert Langer in 2007. He is a senior editor for Langmuir, a fellow of the American Institute of Chemical Engineers (AIChE), and a fellow of the American Institute for Medical and Biological Engineering (AIMBE). He received the Braskem Award for Excellence in Materials Engineering and Science, AIChE (2017). His research focuses on the molecular understanding, design and development of zwitterionic-based functional materials for biomedical and engineering applications. 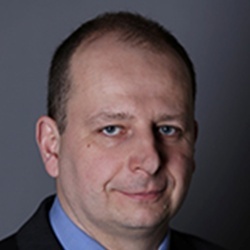 Tomáš Jungwirth is a Head of the Department of Spintronics and Nanolelectronics of the Institute of Physics, Czech Academy of Sciences and a Professor at University of Nottingham in the UK. He received his PhD in 1997 from Charles University in Prague. Between 1997 and 2004 he worked as a postdoc and a research fellow at Indiana University and University of Texas. His expertise is in condensed matter physics, magnetism, and spintronics. With his collaborators he discovered the spin Hall effect which has become a textbook relativistic quantum transport phenomenon in crystals and which provides one of the most efficient means for writing information in magnetic memories. More recently he has initiated with his colleagues a new field of antiferromagnetic spintronics, following the discovery of electrical switching of antiferromagnets. He has published more than 200 research articles, including 4 Reviews of Modern Physics and 30 papers in Science or Nature Publishing Group journals. He received the European Research Council (ERC) Advanced Grant and is a member of the ERC Scientific Council. Alexander “Sasha” Kabanov, Ph.D., Dr.Sci., is the Mescal Swaim Ferguson Distinguished Professor and director of the Center for Nanotechnology in Drug Delivery at the UNC Eshelman School of Pharmacy and codirector of the Carolina Institute for Nanomedicine at the University of North Carolina at Chapel Hill. Prior to joining UNC-Chapel Hill in July 2012, Kabanov served for nearly eighteen years at the University of Nebraska Medical Center where he was the Parke-Davis Professor of Pharmaceutical Sciences and director of the Center for Drug Delivery and Nanomedicine, which he founded in 2004. 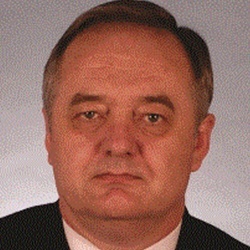 Kabanov received his PhD in chemical kinetics and catalysis in 1987 at Moscow State University, USSR. Kabanov has conducted pioneering research on polymeric micelles, DNA/polycation complexes, block ionomer complexes and nanogels for delivery of small drugs, and nucleic acids and proteins that have influenced considerably current ideas and approaches in drug delivery and nanomedicine. His work led to the first-in-man polymeric micelle drug (SP1049C) to treat cancer, which successfully completed Phase II clinical trial and is under further evaluation. He cofounded Supratek Pharma, Inc. (Montreal, Canada), which develops therapeutics for cancer, and Neuro10-9, Inc. (Omaha, Nebraska, and Chapel Hill, North Carolina), which focuses on diseases of the central nervous system. 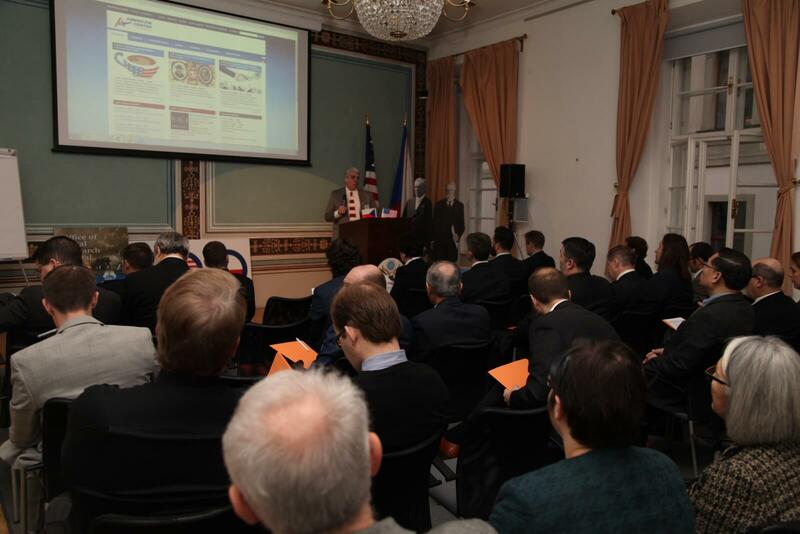 Kabanov has published more than 240 scientific papers and has more than 100 patents worldwide. His work has been cited over 22,000 times (Hirsch index 81) and he was named the Thomson Reuters 2014 Highly Cited Researcher in pharmacology and toxicology. His cumulative research support in academia as principal investigator has been more than $54 million. His inventions have attracted nearly $60 million in private, foundation, and company-sponsored R&D funding in industry. 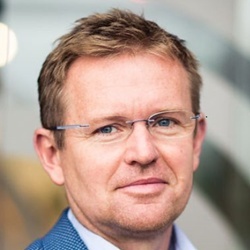 He founded the ongoing Nanomedicine and Drug Delivery Symposium series in 2003, co-chaired the Gordon Research Conference on Drug Carriers in Medicine and Biology in 2006, was vice-chair of the Gordon Research Conference on Cancer Nanotechnology in 2015, and is the chair elect of this conference in 2017. Kabanov received the Lenin Komsomol Prize in 1988, an NSF Career Award in 1995, the University of Nebraska ORCA Award in 2007, and the University of Nebraska Medical Center Scientist Laureate in 2009, among other distinctions. He is also the recipient of a Russian Megagrant (2010). In 2013, he was elected as a member of Academia Europaea. He received his Ph.D. from the University of Pennsylvania in 2002, followed by a Wigner fellowship at ORNL (2002-2004). He is a fellow of APS, MRS< and AVS; a recipient of the RMS medal for Scanning Probe Microscopy (2015); Presidential Early Career Award for Scientists and Engineers (PECASE) (2009); IEEE-UFFC Ferroelectrics Young Investigator Award (2010); Burton medal of Microscopy Society of America (2010); ISIF Young Investigator Award (2009); American Vacuum Society Peter Mark Memorial Award (2008); 3 R&D100 Awards (2008, 2010, and 2016); Ross Coffin Award (2003); Robert L. Coble Award of American Ceramics Society (2009); and a number of other distinctions. He has published more than 550 peer-reviewed journal papers, edited 3 books, and holds more than 18 patents. He has organized numerous symposia (including symposia on Scanning Probe Microscopy on Materials Research Society Fall meeting in 2004, 2007, and 2009) and workshops (including International workshop series on PFM and Nanoferroelectrics), and acted as consultant for companies such as Intel and several Scanning Probe Microscopy manufacturers. He is also a member of editorial boards for several international journals, including Nanotechnology, Journal of Applied Physics/Applied Physics Letters, and recently established Nature Partner Journal Computational Materials. Brian A. Korgel is Temple Professor #1 and Matthew Van Winkle Regents Professor of Chemical Engineering at the University of Texas at Austin. He received his PhD from UCLA in 1997 and was a post-doctoral fellow at University College Dublin, Ireland. He has been Visiting Professor at the University of Alicante in Spain, the Université Josef Fourier in France and the Chinese Academy of Sciences in Beijing. 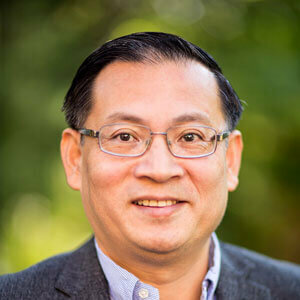 He also directs the Industry/University Cooperative Research Center for Next Generation Photovoltaics and has co-founded two companies, Innovalight and Piñon Technologies. He works in the field of nanomaterials chemistry and has published more than 200 papers. He has received various honors including most recently the 2012 Professional Progress Award from the American Institute of Chemical Engineers (AIChE) and was also elected as a Fellow of the American Association for the Advancement of Science (AAAS) in 2012. 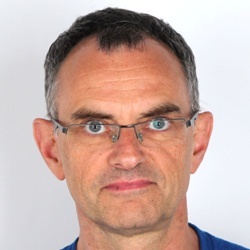 Professor Josef Michl works in the Department of Organic Chemistry and Biochemistry at the University of Colorado at Boulder and at IOCB in his native Prague. He studied at the Charles University in Prague with V. Horák and P. Zuman and the Czechoslovak Academy of Sciences with R. Zahradník (Ph.D. in 1965). He was a post-doctoral fellow with Profs. R.S. Becker, M.J.S. Dewar, A.C. Albrecht, J. Linderberg, and F.E. Harris. His independent career started at the University of Utah in 1970. He was chairman of the chemistry department in 1979-84. He left in 1986 and after a brief stint as Collie-Welch Regents Chair Professor at the University of Texas at Austin moved to his present position in Boulder. He has been awarded numerous fellowships, prizes, medals, and honorary degrees, including the Neuron Award in the Czech Republic. 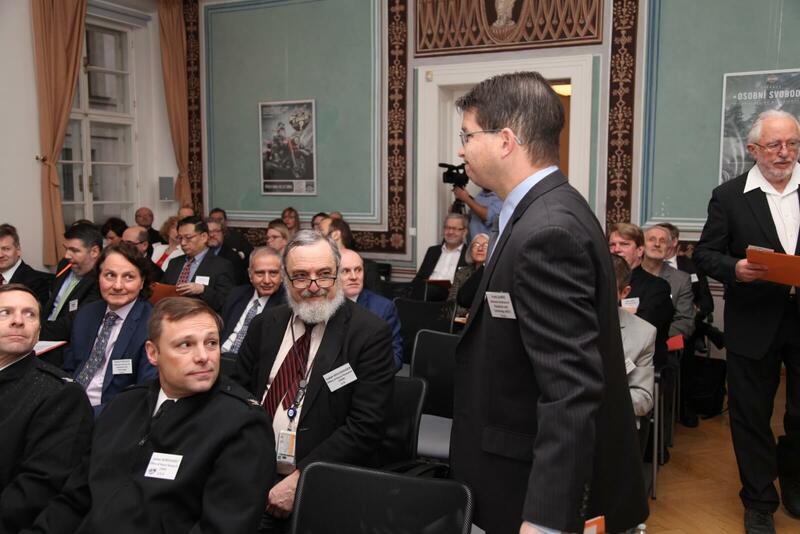 He has been elected to the U.S. National Academy of Sciences, American Academy of Arts and Sciences, and the Czech Learned Society, and is the president of International Academy of Quantum Molecular Science. He served as the editor of Chemical Reviews for 31 years, has co-authored five books on photochemistry and polarization spectroscopy and nearly 700 scientific papers in the areas of organic, inorganic, theoretical, and physical chemistry. His current interests are photochemistry, photophysics, molecular machines and electronic structure, and chemistry of Si, B, and F.
Michal Otyepka is professor of physical chemistry and Head of Department of physical chemistry, Palacký University Olomouc and vice-director of the Regional Centre of Advanced Technologies and Materials at Palacký University Olomouc. 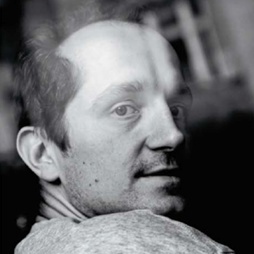 He received his MSc (1998) and PhD (2004) from Palacký University. His research is focused on hybrid bio- and nanomaterials, molecular modeling and simulations. He developed new ways for graphene functionalization based on chemistry of fluorographene. He co-authored software for detection and analysis of biomolecular channels MOLE (mole.upol.cz). He co-authored 4 book chapters and above 180 papers in peer-reviewed journals, which have been more than 7.000 times cited according to Scopus (his H-index is 40). In 2016, he received ERC consolidator grant “2D chemistry” (2dchem.org). Prof. Mark A. Reed received his Ph.D. from Syracuse University, and currently holds the Harold Hodgkinson Chair of Engineering and Applied Science at Yale University. He is the author of more than 200 professional publications, 6 books, and has given over 25 plenary and over 400 invited talks, and holds over 30 patents. 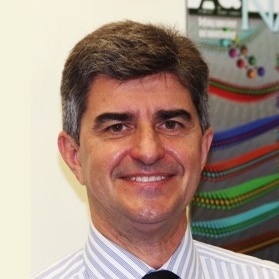 He is the Editor in Chief of the journals Nano Futures and Nanotechnology. His awards include the Kilby Young Innovator Award, the Fujitsu ISCS Quantum Device Award, and the IEEE Pioneer Award in Nanotechnology. He is a Fellow of the American Physical Society and the Institute of Electrical and Electronics Engineers. Jana Roithová is Professor of organic chemistry at Charles University in Prague. 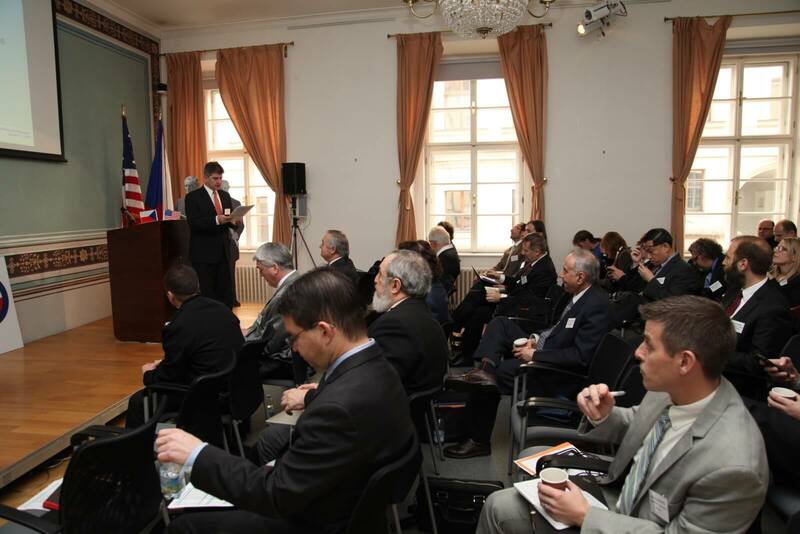 She also serves as member of presidium of the Czech Science Foundation. She received her MS (1998) from Charles University and PhD (2003) from University of Chemistry and Technology Prague. 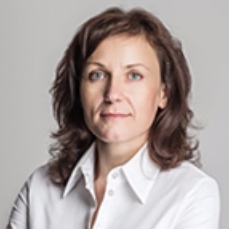 She worked as research fellow at Technical University Berlin (2003-2004), J. Heyrovský Institute of Physical Chemistry (2005), and Institute of Organic Chemistry and Biochemistry (2006), both Academy of Science of the Czech Republic. Since 2007, she leads a group on reaction mechanism research at Charles University in Prague. She has published more than 150 papers in peer-reviewed journals. 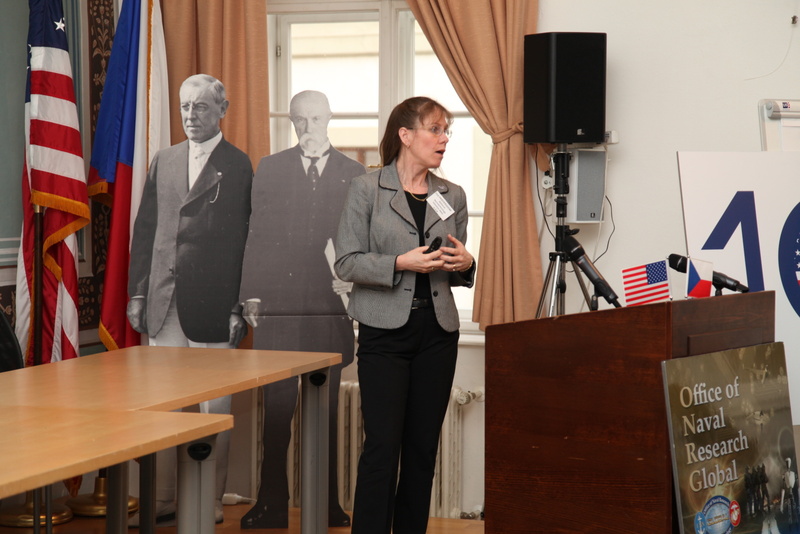 For her work, she has received several awards including the Ignaz L. Lieben Award of the Austrian Academy of Sciences and the Rudolf Lukeš Prize from the Czech Chemical Society. Aleš Růžička is Professor of Inorganic Chemistry at University of Pardubice. 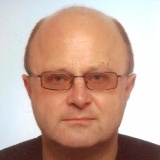 He received his MS (1997) and PhD (2001) from University of Pardubice. He has been NATO - RSC fellow at Sussex University in Brighton UK with professor M. F. Lappert. His research interests are divided to organometallic and coordination chemistry of low valent main group metals, its applications and various aspects of structure-properties relationships. He has co-authored 4 book chapters, more than 300 papers in peer-reviewed journals and obtained and 3 patents, h-index 29 - Web of Science. He is the member of Editorial Boards of Journal of Organometallic Chemistry, Main Group Metal Chemistry, Applied Organometallic Chemistry and Crystals. Joseph Stroscio is a NIST Fellow and Project Leader in the Electron Physics Group in the Center for Nanoscale Science and Technology (CNST) at the National Institute of Standards and Technology (NIST). He received a B.S. and an M.S. in Physics from the University of Rhode Island, and a M.S. and Ph.D. in Physics from Cornell University. 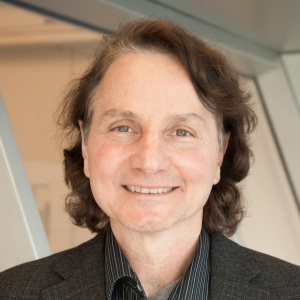 Stroscio’s passion for instrument design began during his graduate work in Wilson Ho’s group at Cornell University, performing innovative studies of surface phonon and plasmon excitations with low energy electron energy loss spectroscopy. Stroscio pioneered the development of scanning tunneling microscopy (STM) and spectroscopy measurements with Dr. Randal M. Feenstra at the IBM T. J. Watson Research Center. Stroscio performed some of the first ultra-high vacuum scanning tunneling spectroscopy measurements, which showed that the STM does not simply image atoms, but measures the energy-resolved local density of electronic states. Stroscio joined NIST in 1987 to lead the scanning tunneling microscopy effort in the Electron Physics Group. His current research focus is on low-dimensional electron systems in graphene and related 2D materials. Over the course of his career, Stroscio has created some of the most advanced scanning probe microscopes. He is the recipient of an Arthur S. Flemming Award, the Department of Commerce Silver and Gold Medal Awards, the Sigma Xi Young Scientist Award, the Nano 50 Award, the American Vacuum Society Nanotechnology Recognition Award, and the NIST Samuel Wesley Stratton Award. He is also a recipient of the Presidential Rank Award and the Heinrich Rohrer Grand Medal. 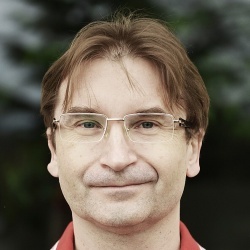 Dr. Jiří Šponer is currently Head of the Department of Structure and Dynamics of Nucleic Acids, Institute of Biophysics of the Czech Academy of Sciences, Brno, and Professor and Head of the Nucleic Acids group at the Regional Centre of Advanced Technologies and Materials, Palacky University, Olomouc. 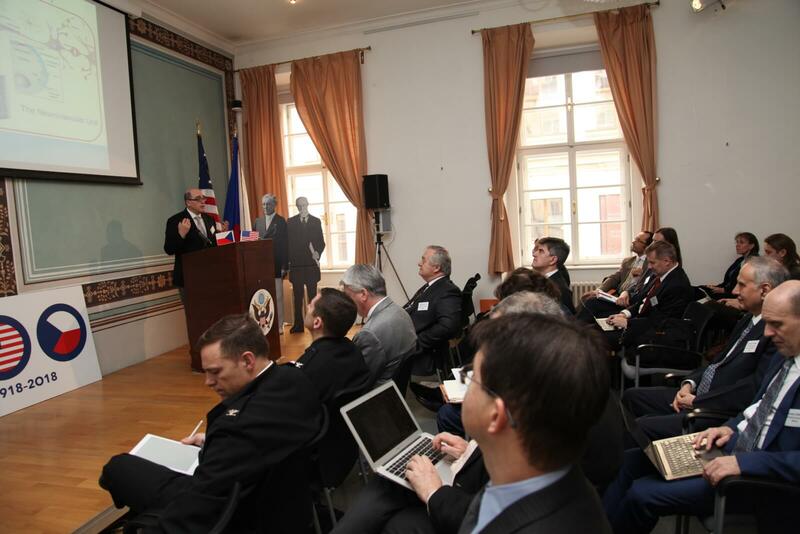 He is also a Professor at Masaryk University, Brno. He earned his M.Sc. (1987) and Ph.D. (1993) at Masaryk University, Brno. 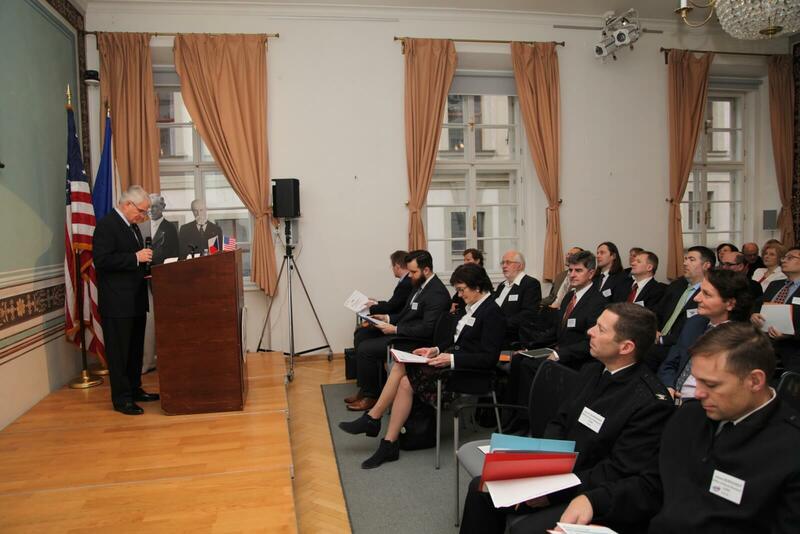 Since 1993, he has been primarily associated with the Czech Academy of Sciences. His research focuses on theoretical and computational studies of structure, dynamics, interactions, function and evolution of DNA and RNA molecules. He has published ~300 research and review papers in peer-reviewed journals, with more than 13,000 citations upon exclusion of all forms of selfcitations. His Web of Science h-index is 68. Prof. Rajender (Raj) S. Varma, (h-index 95, ‘Highly Cited Researchers’ 2016), was born in India (Ph.D., Delhi University 1976). After postdoctoral research at Robert Robinson Laboratories, Liverpool, U.K., he was faculty member at Baylor College of Medicine and Sam Houston State University prior to joining Sustainable Technology Division at U.S. Environmental Protection Agency in 1999 with appointment at Palacky University, Olomouc, Czech Republic. He has over 45 years of research experience in management of multidisciplinary technical programs in areas ranging from development of environmentally benign alternatives for organic synthesis using photocatalysis, mechanochemical, microwave- and ultrasound irradiation, to efficient technologies for greener remediation of pollutants. Lately, he is engaged in greener assembly of nanomaterials and the sustainable applications of magnetically retrievable nanocatalysts and carbonaceous materials in benign media. He is on the editorial board of several leading international journals and has published over 465 scientific papers and 16 U.S. Patents. Prof. Hong Yang is the Richard C. Alkire Professor of Chemical Engineering at the University of Illinois at Urbana-Champaign (UIUC). He received his B.Sc. degree from Tsinghua University (1989), M.Sc. degree from University of Victoria (1994), and Ph.D. degree from University of Toronto (1998). He won one of the two NSERC Canada Doctoral Prizes in Natural Science for his graduate thesis work on mesoporous thin films and morphogenesis in 1999. He did his postdoctoral training at Harvard University as an NSERC Postdoctoral Fellow. He began his independent research at University of Rochester in 2001 and joined the faculty of UIUC in 2012. Dr. Yang is an elected Fellow of American Association for the Advancement of Science (AAAS). He has received a US National Science Foundation CAREER Award and is a Visiting Chair Professor with Shanghai Jiaotong University. He has given more than 150 invited talks, including 23 plenary, keynote, and named lecturers. His research interests include understanding the formation of nanocrystals, catalysis and electrocatalysis, nanomaterials for energy and biological applications. Selected achievements: silver nanoparticles in antibacterial treatment (Nat. Nanotech. 2017, JPC-B 2006; Biomaterials 2009); graphene based magnets (Nat. Comm. 2017, JACS 2017, Adv. Mater. 2016); functionalization of graphene (Chem. Rev. 2012, 2015 and 2016) and new graphene derivatives: world’s thinnest insulator (Small 2010), 2D semiconductors (Adv. Mater. 2015) or 2D graphene acid (ACS Nano 2017); nanocrystals/QDs with tunable optical properties (Nat. Comm. 2017, ACS Nano 2017, Nano Today 2014); superparamagnets for MRI/drug delivery (Nat. Comm. 2016, Chem. Mater. 2014, Chem. Rev. 2016); new phenomena in catalysis/photoelectrochemistry (JACS 2007, JACS 2010, ACS Nano 2015, Chem. Soc. Rev. 2017, Chem. Rev. 2016), superoleophilic/superhydrophobic hybrids (Angew. Chem. 2016, Adv. Mater. 2017). 2.10-2.30 pm Miroslav Černík: Application of Methods Based on Zero-valent Iron Nanoparticles for Remediation of Contaminated Groundwater. It takes 20 minutes. Tram no.20 from Malostranske namesti to Hradcanska, then a short walk. Please arrive between 6:00-6:15 pm for security check. We will meet together at the Alchymist Hotel (opposite the US Embassy) at 6.30pm, then walk up hill for 20 minutes. Or you can take any tram to Ujezd, then walk up the hill from there or use the Petrin funicular (tram ticket needed). Or take a taxi all the way.